Crickets are gram-for-gram one of the most efficient protein creators on the planet. By dry weight, a single cricket ranges between 65% – 70% pure protein. In contrast, beef is between 17% – 40% protein, with the rest being primarily fat content. But what about the quality of the protein you ask? Interestingly enough, cricket protein is a form of animal protein, which means it registers as a “complete” source of protein. What this means is that it contains all the essential branched-chain amino acids (BCAA’s) that the human body needs for muscle development. Simply put, for high-quality protein, crickets surprisingly might be the Lightweight Champion! 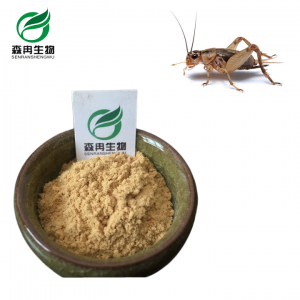 Cricket flour is packed with vitamins and minerals. Once again, on a gram-for-gram basis cricket powder can outcompete some of our healthiest food options.-Iron, an essential mineral that helps carry oxygen through our body in the form of hemoglobin. Did you know that our body absorbs iron from animal products better than iron from plant products? More importantly, though, cricket flour in comparison is loaded with iron. It contains 5.9mg per 100 grams, which is almost TWICE more than the amount you get from spinach, 3.5mg per 100 grams.